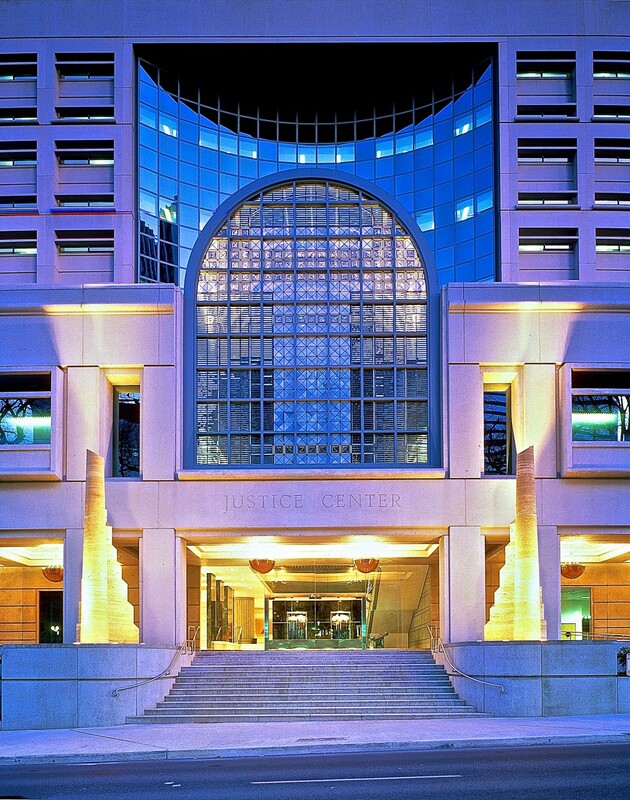 The Portland Justice Center occupies a prominent downtown location facing west toward a park filled with tall elm trees and across to Michael Graves’ Portland Building. It houses city and county courts, the city police department, and a jail. The central axis of the building is crowned with a dramatic barrel vault over the entry lobby, and the western end of the vault is fully glazed. Carpenter won the competition for artwork in the great west window in 1980. 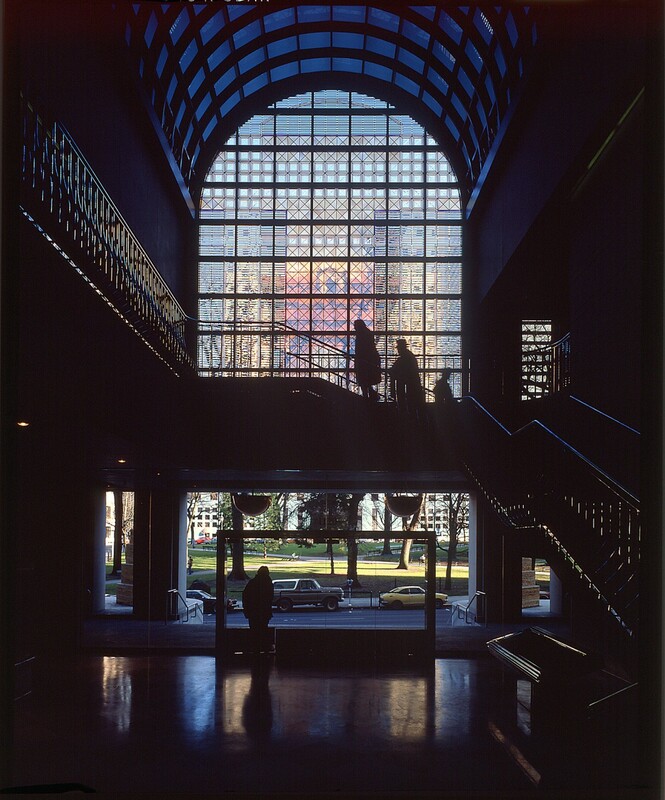 Late afternoon sun pours into the lobby, bathing the interior with a wash of colored light. 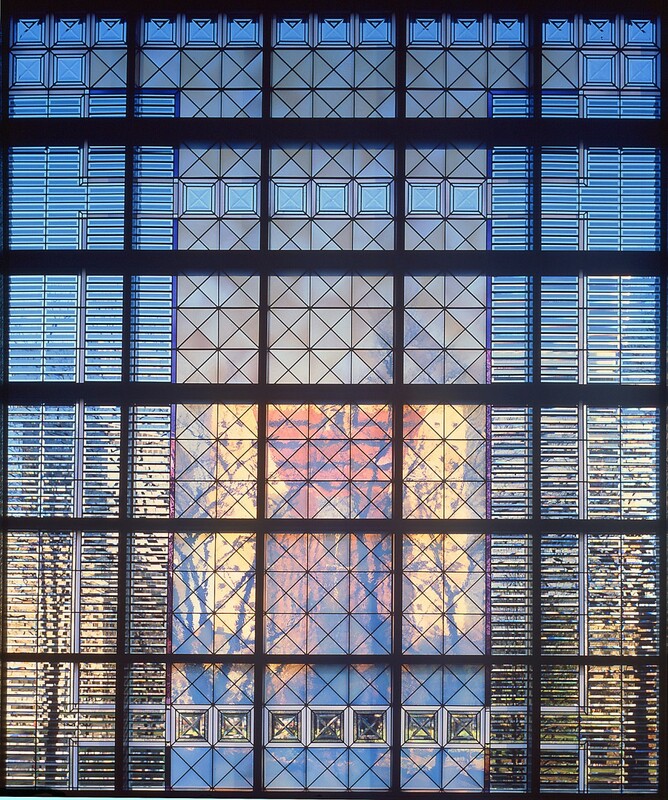 As the seasons pass and the trees outside change colors, so does the window, transitioning from a lush green in Spring and Summer to a full transparency in Winter when a ghost of the color and geometry of the Portland Building can be seen through the faceted glass. The classical symmetry and leading of the window suggest the traditional stability of the legal system, while its modern materials are meant to convey a contemporary feel.